Dr. Carrie Nugent is a scientist at the Infrared Processing and Analysis Center at Caltech. She works on NASA’s NEOWISE mission, which uses a space-based infrared telescope to discover, track, and characterize asteroids. She is also a science team member on the NEOCAM mission, which is a proposed next-generation asteroid hunting space telescope. 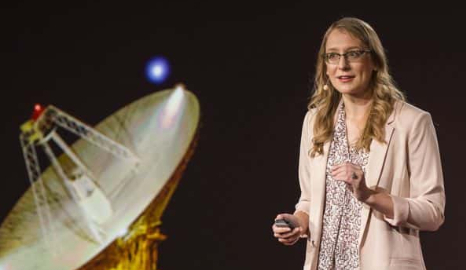 She is a 2016 TED fellow, and hosts and produces Spacepod, a podcast about space exploration, in her free time.